The Gharana tradition of India has fascinated music connoisseurs across the globe. In India a lot of importance is given to family heritage, be it wealth, profession or be it any form of art. The Gharana style of classical music being passed down through generations shows how much people of the subcontinent respect the presence of music in their lives. Although this style of classical music was more widespread earlier, it began to fade away as musicians began to travel, spreading their talents. During their widespread traveling they would give performances and also attend other concerts. They came across musicians from other musical Gharanas. And so instead of adhering to what they had been taught they began to imbibe other styles. 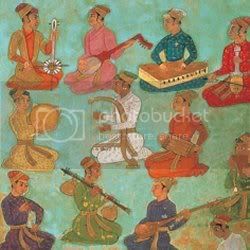 Today, Gharana style of music has more or less faded away into oblivion with only a few musicians adhering to where they originally belong. Gwalior Gharana is the oldest among all the Khayal Gayaki style Gharanas. The founder of this Gharana was Nathan Pir Bakhsh of Lucknow. 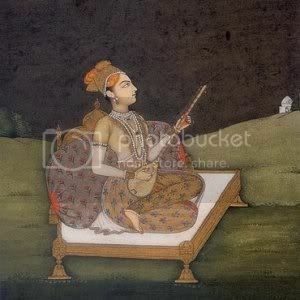 During late 18th century he moved to the Gwalior court of Maharaja Jankoji Rao Scindia to escape the professional rivalry with another musician that had taken an ugly turn. The distinctive feature of this style of singing has been known for its lucidity and simplicity. Without going into further technicalities of this Gharana tradition, let us listen to some of its well known exponents. Some of the more famous musicians belonging to Gwalior Gharana include D V Paluskar, Omkarnath Thakur, Kumar Gandharva, Malini Rajurkar, Amjad Ali Khan, Veena Sahasrabuddhe and many more. The list is long and one can go on and on. And of course the vocalists, and songs posted above, belong to the Gwalior Gharana. .. more songs of other Gharanas coming soon. Once again I am posting a few songs of my choice. All the artists featured this time are very well known to real connoisseurs of classical music, hence I am skipping the introduction bit. Ustad Salamat Ali Khan (1934-2001), born in Shamchaurasi, a small village of district Hoshiarpur, Punjab, belonged to a family of traditional musicians representing the Shamchaurasi Gharana. Mastery over Layakari can probably be regarded as Salamat Ali Khan’s greatest contribution to classical music. He was highly acclaimed for the ease at which he would render intricate Sargams and Bol Tans. Salamat Ali Khan was initiated into classical music together with his elder brother Nazakat Ali Khan under the guidance of their father at the tender ages of 5 and 7 respectively. They were initially taught the basics of Dhrupad but later concentrated on learning Khayal due to its increasing popularity. It was only after two years of training that they made their debut at the prestigious Harballabh Mela in 1941. Following their stirring debut, the youngsters gave numerous performances in Punjab and Sindh and began to attract the attention of the musical fraternity who predicted a bright future for the pair. During this period, the brothers began to give regular broadcasts from All India Radio, Lahore and two gramophone records of the young Salamat Ali Khan were published. In 1943, the duo received their first official state invitation from the Maharaja of Champanagar, a small princely state in Bihar. Their stay in Champanagar lasted a few months and was followed by performances at the Allahabad and Gwalior music conferences. Legend has it that the song posted below was sung in praise of the Maharaja of Champanagar, who had just won some sort of a battle with a neighbouring state. The song is in Raga Basant Bahar and the lyrics go like this : “Des Des Ki Thi Jung, Dushman Sub Har Gaye”. After the creation of Pakistan, the family settled in Multan and lived in relative obscurity for the next couple of years. During this period of anonymity, the brothers concentrated on rigorous practice and performed occasionally. By 1950, the brothers had achieved fame throughout the subcontinent. In June 1974, the career of the duo was rocked when they decided to split up due to personal differences. This ended one of the most successful vocal partnerships in the history of Indian classical music. 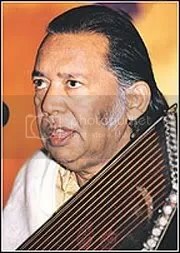 Any hopes of a musical reunion were later dashed when Nazakat Ali Khan passed away in 1983. The maestro received another setback in 1978 when he suffered a paralytic stroke during a concert in London. However, he made a courageous recovery and continued with his rigorous schedule of performing. The final years of the maestro were marred with ill health connected to the paralytic stroke and thus affecting his ability to perform. During the 1990s, Salamat Ali Khan was diagnosed with diabetes and a heart ailment that further weakened him and resulted him to restrict the number of performances he could do. Further complications related to diabetes resulted in the loss of his vision and thus he retired from classical music in 1998. The end finally came on the 11th July 2001, the world of classical music losing a musical genius whose life was wholly dedicated to the cause of classical music. 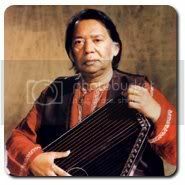 There will be many other musicians who will achieve fame and glory in years to come but very few will ever attain the stature and excellence of Ustad Salamat Ali Khan.